Naples Florida November 16, 2012 – The Naples single family home median price on closed properties rose 10 percent overall with increases in all zip codes for the 12-months ending October 2012. The condominium median closed price increased 4 percent in all zip codes for the same time period. 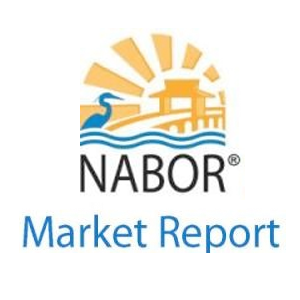 This is according to a report released by the Naples Area Board of REALTORS® (NABOR®), which tracks home listings and sales within Collier County (excluding Marco Island). 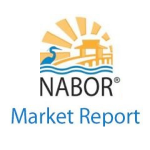 The NABOR® October report provides annual comparisons of single-family home and condominium sales (via the SunshineMLS), price ranges, and geographic segmentation and includes an Overall Market summary. – The overall median closed price increased 11 percent from $177,000 at the end of October 2011 to $197,000 for the 12-month period ending October 2012. – Overall pending sales increased 21 percent in the $500,000 to $1 million category, from 947 units to 1,149 units, for the 12-month period ending October 2012. Overall pending sales increased 17 percent in the $1 million to $2 million category, from 418 units to 490 units, for the 12-month period ending October 2012. – Overall inventory decreased by 13 percent, from 7,325 listed properties in October 2011 to 6,409 in October 2012. Pending sales with contingent contracts are included in the overall inventory number. – The average DOM (Days on the Market) fell in all price segments except in the $0 – $300,000 price zone, resulting in a one percent increase from 169 days on the market in October 2011 to 170 days on the market in October 2012. – Overall pending sales in the Naples coastal area increased 14 percent from 1,783 units to 2,037 units, and closed sales increased 10 percent, from 1,615 units to 1,776 units, for the 12-month period ending October 2012. The result of the inventory decline from 12,157 in February 2007 to 6,409 in October 2012 is that buyers, in many cases, are desperate for inventory,, homes are selling more quickly, as shown by the average Days on the Market decreasing in every price category above the $300,000 range. Therefore pricing remains crucial.